Active@ Disk Image relies on VSS service when creating an image. If it fails with error VSS_E_UNEXPECTED_PROVIDER_ERROR (0x8004230F) the reason could be a third-party VSS Provider component installed on the system. If this is a case, this third party VSS provider can be a source of VSS error and has to be removed. 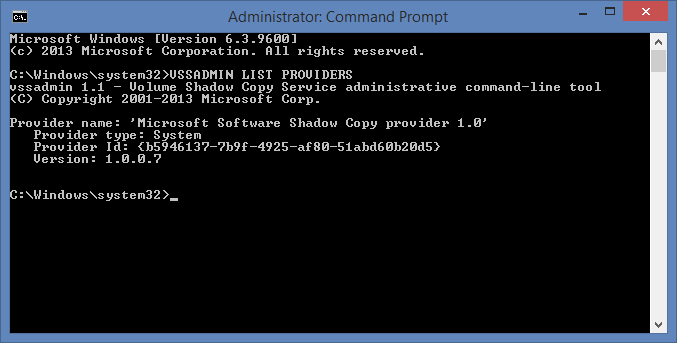 Find out provider id from output of VSSADMIN LIST PROVIDERS command.